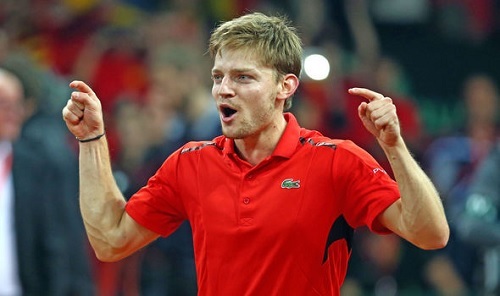 It wasn’t a good day in the office for David Goffin on Sunday. First, the Belgian tennis star went down to Frenchman Jo-Wilfried Tsonga in the ATP Rotterdam final. Then, he went on to make a costly error in his speech during the post-match presentation ceremony. The 26-year-old acknowledged the support from the crowd before proceeding to thank his team, family and “girlfriends.” Yes, you read that right! “I would like to thank also my team. I know it’s not far from Belgium so I know that a lot of people came here to support me. There is my family. There is my friends. So, friends, family and there is girlfriends also,” he said, seeming to have an intentional touch to it. Nonetheless, he was quick to stop the laughter by clarifying his gaffe. “Girlfriend sorry. Without the ‘s’,” he said.